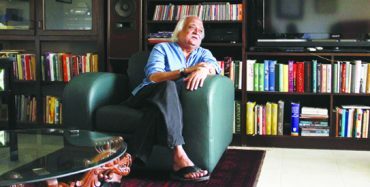 Anwar Maqsood has been serving the Pakistani entertainment industry since as early as the 1970s. He is one of the pioneers who gave innumerable contributions to the development of the state-run television channel PTV. He belongs to one of the most talented families this country has ever witnessed. He has served the entertainment industry in many ways, ranging from being a play writer to a television host, a humorist to an actor at some occasions. Unknown to many, Anwar Maqsood is just as much of a talented painter as he is a scriptwriter or a satirist. He draws his aspirations from notable personalities such as Quaid-e-Azam Mohammad Ali Jinnah, Allama Iqbal, Madam Noor Jehan, Ustad Ghulam Ali Khan and Roshan Ara Begum. Anwar Maqsood’s passion for art and his immense patriotism is depicting all over his majestic and artistic home. The home has been decorated and ornamented in the most tasteful and sophisticated manner by the highly creative couple. And as their children grew up and took up the taste and elegance that runs in the family, they added to the grace carried forward by this home. 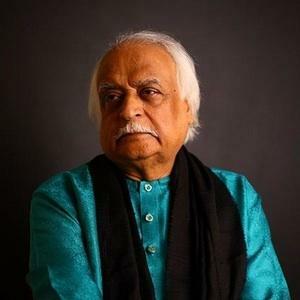 Anwar Maqsood was born on the 7th of September, 1935 in the city of Hyderabad Deccan of India. His schooling had been from Gulberg Trust School located in Aurangabad. After the partition of United India in 1947, the family of Anwar Maqsood migrated to Karachi. With ten children to raise, the parents of Anwar Maqsood faced quite hard times right after migration. They settled in the area of PIB colony in Karachi. Due to extreme poverty, Anwar Maqsood sacrificed quite a few of early schooling years. Not only him but his siblings as well did not attend school after they migrated to Pakistan. But this meant that there was plenty of time for these talented children to explore their and exploit their boundaries. 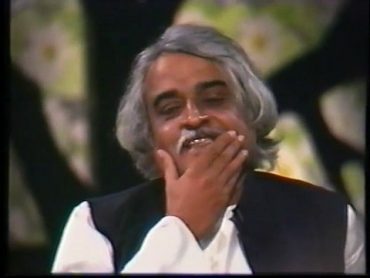 Though Anwar Maqsood did not attend formal classes at school but he clearly had a passion for in depth reading and had a sharp instinct of observation which helped him master over his god gifted skill of writing and playing with words in the most eloquent manner. 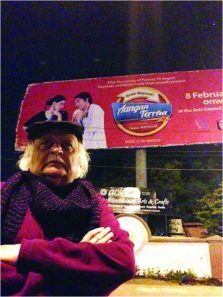 Remembering those days of misery, Anwar Maqsood feels nostalgic even today and cherishes all those memories just as sweetly as he cherishes his words and poetry. His wife Imrana Maqsood is a well known novelist. He has two children, a son and a daughter. His son, Bilal Maqsood is a popular rock artist and guitarist and the world famous band, “Strings”. Before joining the television, Anwar Maqsood had been a painter by profession. He used to make his living by selling his paintings. 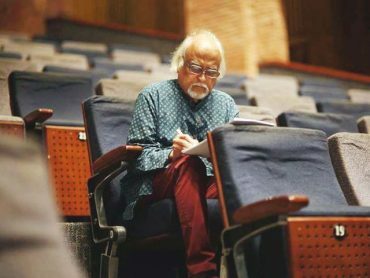 A vast ocean of knowledge and keen observation of surroundings, Anwar Maqsood made the most effective use of canvas and colorful palette to express himself. He had his first showcase of his paintings in 1958. Within half an hour all of his paintings were sold. 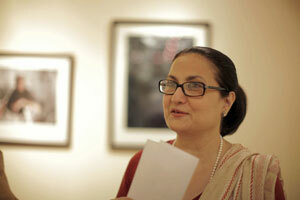 To be more precise, 40 of 50 paintings were purchased by Jamshed Marker. His paintings add to the glory of many art galleries, just to name one such gallery, the National Art Gallery situated in Islamabad. Just as his words are lively and catchy, his canvases are decorated by vivid colors and in strong shades. To add to the flamboyance of his paintings lyrical lines complete the paintings which comprise of usually cut down shapes and large faces. Just as bold, colorful and with a slight tinge of subliminal meanings his words are, Anwar Maqsood’s paintings are equally interesting and captivating. Anwar Maqsood started his career on television in the year of 1970. At that time there was only one state channel, Pakistan Television Network (PTV) which was viewed across the country. Anwar Maqsood hosted and scripted many shows over decades. As presenter, he has many shows to his name such as Studio Dhai, Studio Ponay Teen, Show Sha and PTV’s Silver Jubilee Show among many others. Apart from this he scripted many shows such as Fifty Fifty, Show Time, Half Plate, Loose Talk, etc. 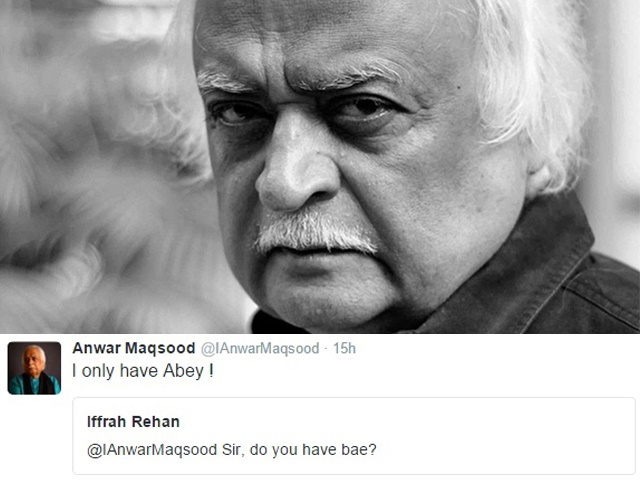 Anwar Maqsood remarks Loose Talk as his best work to date. The show aired 394 different and inimitable episodes on a private channel. 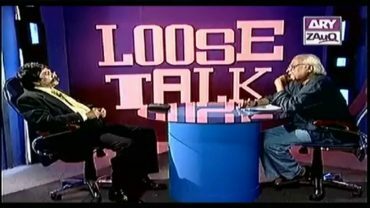 As per Anwar Maqsood, had it been national tv channel, Loose Talk could not have been so successful as it would not have cleared the censorship board’s approval. He believes that its success is mainly attributed to the one of its kind of chemistry between Anwar Maqsood and the late actor Moin Akhtar. He also wrote many drama serials and short mini series such as the very famous Aangan Terha, Sitara Aur Mehrunnisa, Nadan Nadia, Talaash and Colony 52. 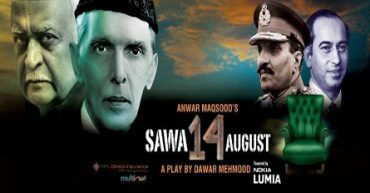 He wrote many theatre plays as well such as Pawney 14 August, Sawa 14 august, Siachen etc. The beauty of his writings lies in his ability to pen down even the most complex issues and societal taboos in very light and humorous manner. He knows how to effectively communicate with the masses. It is because he has a deep understanding of the masses. And knows how to get his message across his audience. His unmatchable humor and satirical manner was not well received during the dictator rule of General Zia-ul-Haq. Those were the years of strict media censorship. Jokingly Anwar Maqsood recalls those years as his career best as there was very less for him to write about! His passion for art and theatre plays kept this dying form of art alive in today’s age where very few of the younger generation take interest in field of theatre. His theatre plays gave a chance for many of today’s young talent to showcase their skills in acting, editing and other areas. For instance the famous actress Hareem Farooq made her debut in showbiz by acting in one of Anwar Maqsood’s theatre plays. He is very supportive and encouraging towards the younger generation to take interest in theatre and pursue it as a full fledge career. Anwar Maqsood has given innumerable services to this country. He in himself is a hub of art and unmatchable talent. 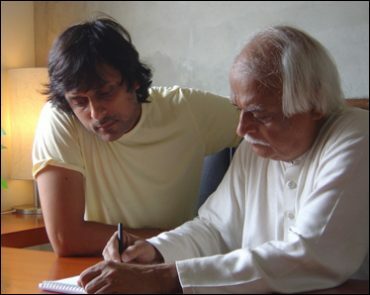 It is impossible not to recognize the contributions of someone as endowed as Anwar Maqsood. He has been awarded Hilal-e-Imtiaz which is Pakistan’s second highest civilian award. It is an award that is given to civilians and military officers of our country by the Government of Pakistan. Apart from this he has also been awarded lifetime achievement awards at, any award functions including the most prestigious and acclaimed Pakistan Media Awards. 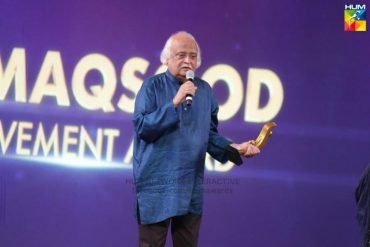 Anwar Maqsood was given the award in 2013 at the function of the 4th Pakistan Media Awards to recognize his exceptional contribution to Theatre. His theatre play Pawney 14 August also received the best theatre award during this year. The motherland of Pakistan has given birth to many talented and endowed families such as that of Javed Sheikh and Samina Peerzada. But a family as gifted as of Anwar Maqsood is rarely seen. Perhaps it is the most multi-talented family of our country. The family has been one of its own kind of a non-conventional one. All the siblings were more of friends to each other. 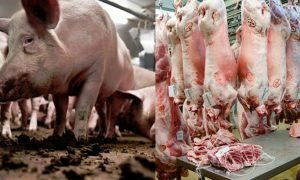 They have been very supportive to each other in their various fields. They have been critic to each other’s work, pointing out areas for improvement and appreciating noteworthy works too at the same time. This legacy of giving strong support of family continued and Anwar Maqsood shares the same kind of chemistry with his son, Bilal Maqsood. They are more of friends than father and son. They play cricket together. They joke around together. This kind of friendly relationship is also shared by his daughter. 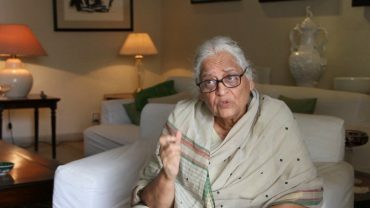 To begin with, Fatima Suraiyya Bajia is the eldest of the siblings of Anwar Maqsood who gave immense contributions to the Pakistani media industry. Popularly known as Bajia, she is one of the pioneers of the PTV Network and has created many memorable drama serials for our country. Her services have been recognized by highest ranking awards such as the Pride of Performance, Hilal-e-Imtiaz and many others. Another sister of Anwar Maqsood, Zehra Nigah is a well known poetess. Like her other siblings, she also started writing at a very young age. She was also among those talented women who broke the stereotypes and came to the front of a male dominated society to display her immense talent. She also won the award of Pride of performance. Popularly known as Mrs. Kazmi she is the owner of the famous bridal wear brand, “Kazmi”. She built her career from scratch initially working out of necessity. She used to sell worn out dolls wearing bridal dress. But later as it turned out, her customers started demanding for actual bridal wear. As Anwar Maqsood remarked, “Bajia, Zubeda and I received these awards but I feel they should have gone to Sara Naqvi and Sughra Kazmi…both of them started their careers from scratch and worked very hard to establish themselves”. Unlike her siblings, Zubeida Tariq started off her career at a bit later stage of life. She is a famous cooking expert. Her recipes are followed in almost every household. Not only that, she is also famous for her unique home remedies. Sara Naqvi was a well known journalist who has also worked with BBC. She was a scientist as well. She has also been in assistance of the famous scientist Abdus Salam for some time period. She is the daughter of Sara Naqvi and the daughter in law of Sughra Kazmi. She partnered with her mother in law to raise the stature of their bridal label to new heights of success. The famous musician and the guitarist of the popular Pakistan pop band “Strings”. Bilal Maqsood is the son of Anwar Maqsood. Not only that, he has also written the lyrics of some of the famous songs such as “Main to dekhoonga”. Bilal has also sung many songs for his band such as “Sar Kiye Ye Pahar”. He draws his inspiration from the associates of Anwar Maqsood such as Farida Khanum , Iqbal Bano and Ghulam Farid. Recently the band has to its acclaim the production of the famous music program, Coke Studio which is gaining popularity worldwide. Bilal Maqsood’s son and Anwar Maqsood’s grandson, Mikael Maqsood is taking forward the legacy of this highly talented clan by showing interest in painting at a very young age. Imrana Maqsood, Anwar Maqsood’s wife who is a novelist herself wrote biography on her husband. The book is titled as “Uljhey Suljhey Anwar”. The cover of the book is designed by their son, Bilal. Many reputed names appreciated the effort made by the artist’s wife. Javed Iqbal remarked that the book gives insight into the renowned personality. 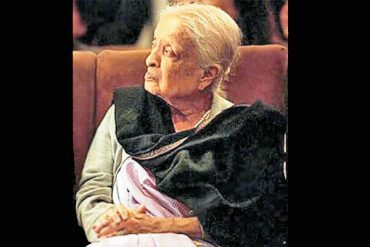 Anwar Maqsood’s sister Zehra Nigah also appreciated the effort of the writer. Former senator, Javed Jabbar , writer Haseena Moin and many others shed their positive reviews on the book. 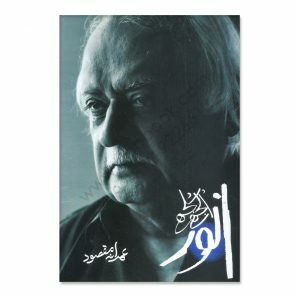 Last but not the least, the book received appreciation from Anwar Maqsood himself. 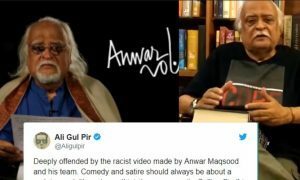 He notified that his wife had selected some other title for the book but on Anwar Maqsood’s request she had changed the name of the book. He remarked that his wife had well written the book. He also showed apprehensions as to a few aspects being mentioned in the book. But to his relief, they were not mentioned. 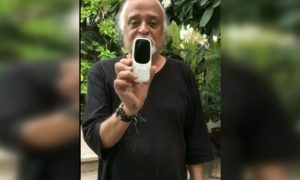 Talking as of today, Anwar Maqsood feels he is growing old and is becoming tired now. He is approached by many people including Ali Zafar and Fawad Khan, asking him to write for them. But he feels he is too tired now to write. Though he is currently writing a film for Shehzad Roy. He does painting only now as it is how he earns his income. Otherwise he wants to retire from writing.